You can brouse on our portofolio section for some projects, or you can also click on the FaceBook buttom below for far more project pictures and reviews. Glue down project of graiysh Hickory. Nail Down project at SeaCoast Bld's lobby. La Gorce Island, Miami Beach. Nail down project of Clear Brazilian Walnut. Woodfield Country Club, Boca Raton. Engineering glue down project Brazilian Chestnut. 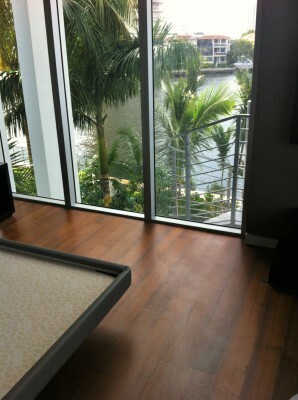 Very professional and did an excellent job on my mothers floors.would definetly recommend him! Gorgeous floors. He really knows his job! Great to work with and anxious to please. Goes that extra step to get outstanding results. I would highly recommend him. The best floor service. My floors turned out beautiful. Check out this testimonials and more on our Face Book page. Just click on our Face Book icon below for more.